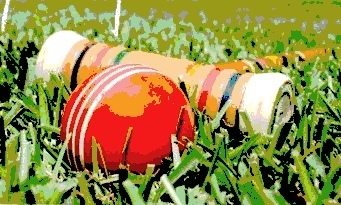 The first ever Mid-Atlantic 9-wicket regional championship was hosted by the Buffalo Croquet and Debating Club, August 26th at Delaware Park. Designed by Frederick Law Olmstead, Delaware Park is a gem near downtown Buffalo. It contains two lawn bowling greeens, much like New York City’s Central Park. Both singles and doubles were contested in one flight under USCA 9-wicket rules. The preliminary doubles round pitted three teams against each other in a six-ball game with the first-place team in each match moving on to the finals, second-place teams playing for third place, and the third-place teams playing for fifth place. Singles involved two preliminary rounds between four players each playing one ball, with points awarded for each player’s position of finish in each round. The top two players on points then played off for the championship in a match with each player playing two balls, while the third and fourth place finishers contested third place. All matches were timed at one hour, except the singles final, which went an hour and fifteen minutes. Doubles was marked by some stellar play. Carl Amorosi played an all-round two ball break in his first turn and he and his partner, Carl Webber, cruised into first place and a trip to the finals. Nelson Montgomery and his partner, Neil Tetkowski (from New York City), were second and Bill Cleary and Moe Neilon were third. In the other preliminary match, Bob Gannon and Dave Butler relied on steady play to win their match over Bill Rupp and Kent Lorence (second) and Josh Mergler and Tom Sheehan (third). In the finals, Amorosi continued to show strong break play as he and Webber beat Gannon and Butler for the champioship. Montgomery also exhibited his understanding of and ability to run breaks as he and Tetkowski grabbed third. The singles rounds began at dusk, after a barbecue. This presented no difficulty since both of the greens are well lit and play continued late into the evening. After two rounds of singles play, Bob Gannon had the most points with a first and second place finish and earned a trip to the championship match. However, a four-way tie for the second spot resulted between Nelson Montgomery, Kent Lorence, Dave Butler and Bill Cleary. Montgomery, Lorence and Butler each had one win and a third place to their credit while Cleary had two second place finishes. The tie was broken by wickets scored and Dave Butler came out on top. Lorence and Montgomery were third and fourth respectively. The singles final was an exciting match that came right down to the final minute. Gannon held the lead throughout, but Butler was constantly threatening and had an opportunity in his last turn to win. Final score was 28-26 with Bob Gannon becoming the first Mid-Atlantic 9 Wicket Regional champion. Third place was won by Lorence 25-17 over Montgomery. The lawns in Delaware Park were in excellent condition and allowed the contestants to exhibit their well-developed and accurate shot-making skills. 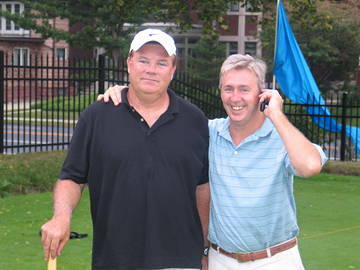 Thanks to the efforts of many of the BCDC members, including Bill Cleary and Bil Rupp, the tournament ran smoothly. Most of all, everyone had a good time on and off the court, which is a hallmark of the club. Plans are underway for an expanded tournament next year.